Gan Aaron, a meditation garden located on the grounds of Temple Beth El Israel, was dedicated on May 19, 2013, in memory of Aaron Klein Stanford Beauchamp. The garden originated as a Bar Mitzvah project by Benjamin Beauchamp, Aaron’s devoted brother. The garden is designed to instill peace in the memories of loved ones, to celebrate life, and to provide comfort that only eternal love can inspire. The nine capstones leading into Gan Aaron represent the beautiful life lived by Aaron Beauchamp. The tenth stone, accented by flame, symbolizes eternal love. 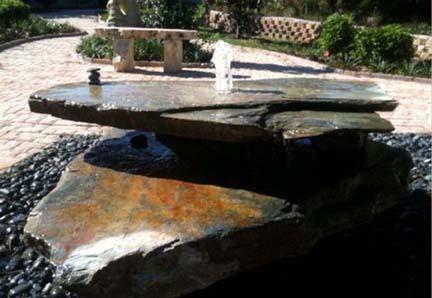 The flowing water represents the essence of life and wonder of youth. The native wetland surrounding the garden exemplifies hope and determination to move forward. 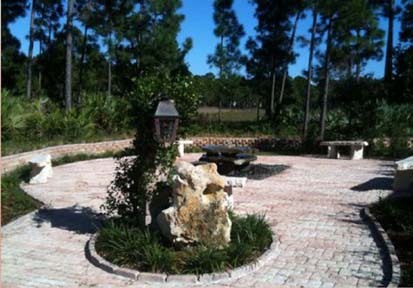 The garden is intended to function as a meditation center and a sanctuary for reflection and introspection. While serving as a memorial to Aaron Beauchamp, the garden enhances the Jewish tradition of remembering and honoring the loved ones who have passed.